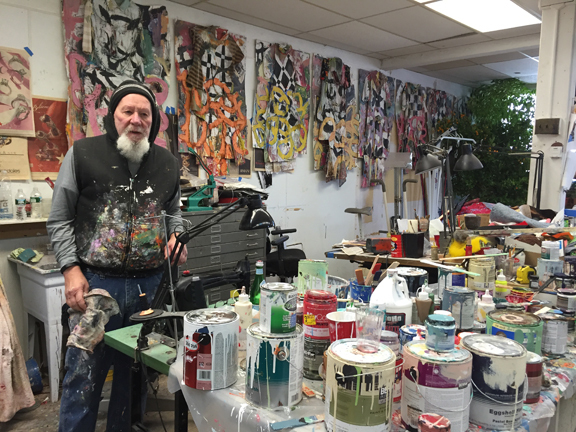 Alan in his Connecticut Studio. Join us at 5:00PM for a talk with Alan Neider. We’ll talk about his background, process, influences, as well as answer questions. Following Alan’s Talk stick around for some music and drinks as we close out his PAINT & TAR Exhibit!